1 Federal Census, AL, Montgomery County, 1940, Montgomery, E.D. 51-56, Sheet 3A, Image 5 of 42, Ancestry.com (Online Census Images). 2 The Atlanta Journal-Constitution (Atlanta, Georgia), 28 JAN 2013, Article about John A. Helms, GenealogyBank.com. 3 The Atlanta Journal-Constitution (Atlanta, Georgia), 26 JAN 2013, Obituary for John A Helms, GenealogyBank.com. 4 U.S., Social Security Death Index, 1935-2014, Death record for John A Helms, Ancestry.com (Online Database). 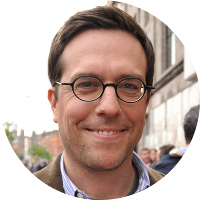 5 Wikipedia, "Ed Helms", (accessed 08/24/2015).